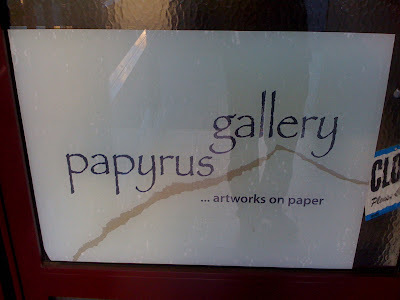 Papyrus Gallery | Papyrus Watch - Exposing the overuse of the Papyrus font. They're referring to Papyrus paper, and of course, what more suitable a font. Someone thought they were bang on clever with this one. I don't see what it's got to do with papyrus though, doesn't look like anything is painted on papyrus. Visit their website for more. Thanks to Stuart for the pic and link.